With summer behind us, does that mean that allergy sufferers are in the clear? Unfortunately, this is hardly the case. 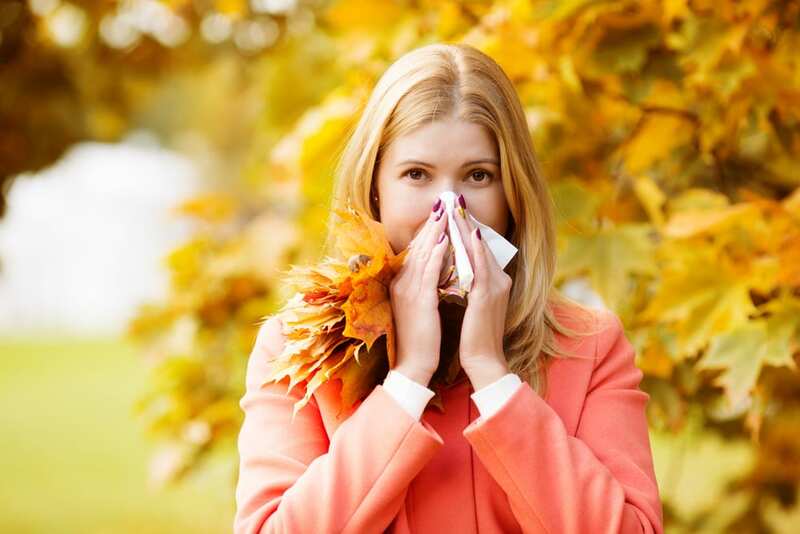 Fall – or autumn, if you will – brings on a whole new share of allergens in the air. While many Canadians are breathing in clean, crisp air as the autumn wind prevails, those who endure the bane of allergies are at an accelerated level of discomfort. Read on to discover the sources that make your allergies to kick into full gear, and how you can make adjustments to reduce and eliminate the causes. What Causes Fall Allergies to Happen? What Can You Do to Combat Them? In order to find the source of the allergies, we need to determine what kind of allergy you’re dealing with. Let’s start with a couple of the big ones: Mold and Ragweed Pollen. What to do? Keep an eye on pollen count, via websites such as The Weather Network or your local news. As unattractive as it may seem, you might want to consider wearing a mask when going outdoors, at least on days when the pollen count is particularly high. Keep windows closed, remove your shoes and any outerwear upon entering the house, vacuum / mop the floors religiously, and wash your clothes, sheets and towels more frequently. Mold and mildew are year-round issues. Mold can grow anywhere there is water, and is a frequent foe in the fall. Mold can be found in your basement, bathroom, a leaky cabinet under your sink, or in a pile of dead leaves in your backyard. The key to reducing mold is moisture control. Open windows and doors can spread outside mold into the house. Then again, if you’ve got mold in the house, opening windows can help ventilate the space. Mold doesn’t die off when winter hits, though they can go dormant for a bit. Use bathroom and furnace fans, and mop/soak up any water that might be in puddles (standing water is your enemy!). Clean your gutters and keep them free of leaves and debris. If you don’t already have a dehumidifier, we recommend using one to keep moisture low and reduce the potential for allergy attacks. Unusually warm temperatures can make rhinitis symptoms last longer. Mold spores can also be released when humidity is high, or the weather is dry and windy. If you’ve been prescribed or recommended to take allergy medication, make sure to take these before your symptoms start. MyNasalAllergyJournal.org has a tracking system. You might also want to ask your doctor to refer you to an allergy specialist. Modern PURAIR offers a wide range of services related to Indoor Air Quality, all performed by our highly skilled tech teams. We’d be glad to discuss how you can set up your living and/or work environment to reduce allergens and contaminates in the air. Contact us to schedule a visit by one of our friendly and experienced teams to provide a thorough cleaning of your furnace and ducts.